Everyone loves a deal and what a perfect way to say some pennies… At Guys N Dolls every Tuesday 9am – 5pm and Fridays 9am – 7pm we are offering an amazing colour deal with our stylist Bea. 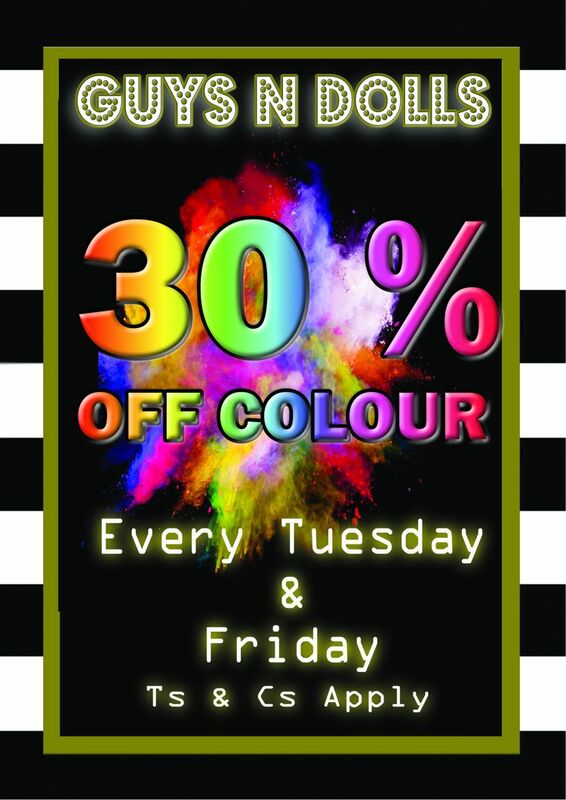 With this colour deal you will receive 30% off your hair colour on our selected days. Please note: all our colour services require a 48 hour patch test before your appointment.